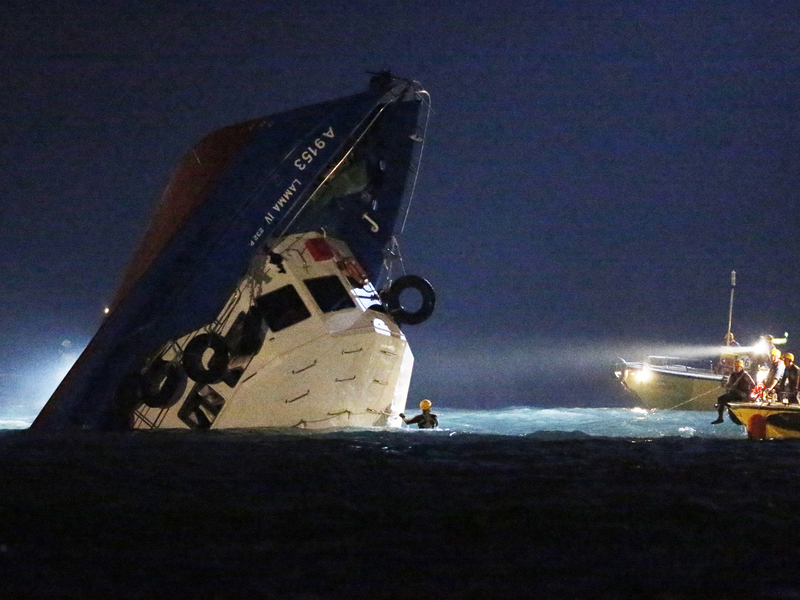 HONG KONG (AP) - A boat packed with holiday revelers collided with a ferry and sank off Hong Kong, killing 36 people and injuring dozens more, authorities said. The boat was carrying staff members of a utility company and their family members to Hong Kong's famed Victoria Harbour to watch a fireworks display Monday night on the long holiday weekend celebrating China's National Day and mid-autumn festival. It was carrying about 120 people when it collided with the ferry near Lamma Island off the southwestern coast of Hong Kong Island. The government said 25 bodies had been recovered by Tuesday morning and the search was continuing. More than 100 people were rescued and sent to hospitals, and nine had serious or critical injuries, the government's statement said. "There was a boat that came in close and crashed," said Yuen Sui-see, director of operations at Power Assets Holdings Ltd., which was using the vessel to take staff on the outing. "After the crash, the other boat continued away, it didn't stop." He denied the vessel was overloaded, saying it was carrying 121 passengers and three crew but had capacity for more than 200 passengers. Television channels showed the boat half submerged with the bow pointing straight up. Helicopters circled overhead with searchlights as government vessels surrounded the boat and divers prepared to enter the water. The government statement said the Fire Services Department could not rule out the possibility people were still in the vessel or missing. It said low visibility and obstacles on the boat made rescue efforts difficult. "All of Hong Kong's emergency forces are focused here," said Hong Kong's leader, Chief Executive Leung Chun-ying. "Wide-ranging rescue work is being carried out on in the sea, land and in the air." Leung said he didn't know what caused the collision but promised a thorough investigation. Survivors said the boat started sinking rapidly after the collision. One woman told local television that she swallowed a lot of water as she swam back to shore. Another man said he didn't know where his children were. Neither gave their names. Lamma is the third-biggest island in Hong Kong and near one of the coastal Chinese city's busiest shipping lanes. The island is home to about 6,000 people, including many of the former British colony's expatriate workers.